These classic unisex sunglasses are made of soft-feel plastic and feature UV400 protection, which helps shield men's and women's eyes from the sun's harmful ultraviolet rays. 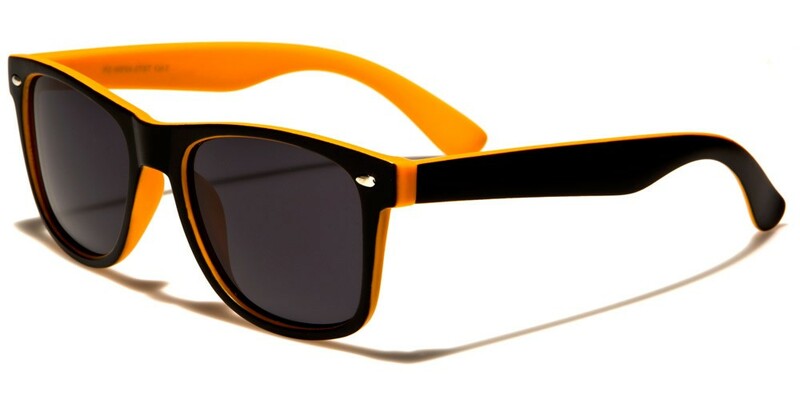 The two-tone rubberized frames come in black and white, black and red, black and orange, black and yellow, black and green, and black and blue. These sunglasses are available in one dozen per box, which makes them ideal for retailers.